Welcome to the inaugural post of a new feature here called, “My Favorite Bit.” This is a series of guest posts in which I ask authors and other creative types to talk about their favorite bit of their newest work. Sometimes it will be a scene, a sentence, a character, or a bit of world-building. It might even be a piece of research that never made it on the page. The key is that it’s something that they love LOVE sooooo much. For my first guest, we have Sean Williams in to talk about his latest collaboration with Garth Nix. I met Sean at a World Fantasy convention years ago, but have had the pleasure the last couple of years of serving on the board of SFWA with him. He’s our current overseas regional director and has done a darn fine job in that position. As a writer though, he’s the kind of guy who makes the rest of us feel like we’re slacking. He’s only two years older than me and has written thirty-five novels. Thirty-five. And he wins awards, major awards, with these. Collaborations are fun. I think so, anyway. With the right person. They’d be pretty horrific with the wrong person–like a marriage, I guess, although I wish in no way to imply that I have anything but professional feelings for either of my collaborators, Shane Dix and Garth Nix. (The same might not be said for Caprica Six, were she available. Or real.) Just friendship in spades, which is where these things start. Writing can be a lonely game, and so is touring; why not engineer things so sometimes you have company along the way? 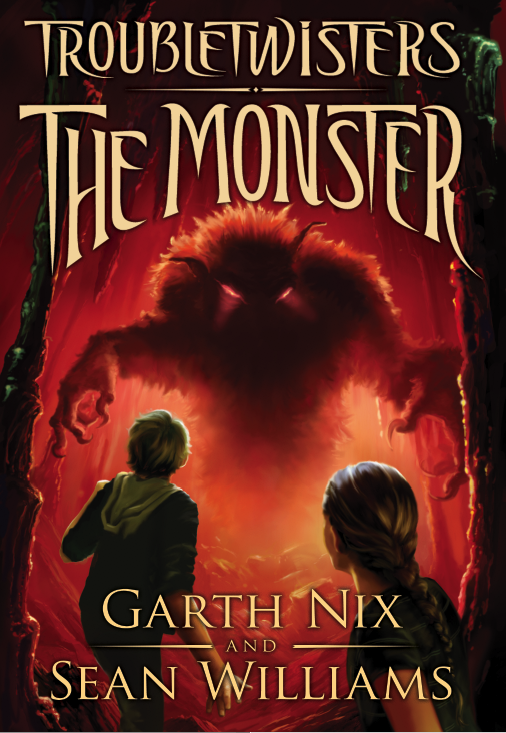 My latest novel is the second in a five-book middle-grade fantasy series Garth and I have been working on for several years, now. Troubletwisters: The Monster is the follow-up to Troubletwisters: The Magic, which emerged from long discussions in bars, at cons, waiting in airports, etc, about writing together (several possible stories, such as a contemporary thriller, a monster movie, even a romantic comedy, have been shelved, but perhaps only temporarily). Trying kids’ books seemed a bit of a no-brainer in the end, since we both love reading them and we’ve both written many of our own. It was just a matter of agreeing on what these particular ones would be about, and then writing them. The devil is in that last detail, of course. Some collaborators swap chapters. Others write particular viewpoints–something we could have done, I suppose, since our story is about fraternal twins, one boy and one girl, only that’s not what we settled on. We get together regularly to brainstorm the plot (those bars, cons and airports come in awfully handy) and when it’s nailed down Garth writes the first chapter, to get the ball rolling. I then write the rest of the first draft, deviating from the outline when plot holes appear or something better emerges from the writing. Then it goes to Garth for a radical rewrite, fixing up any remaining plot holes, adding further ideas that occur to him during rewriting. And then it comes back to me. So it goes, back and forth, until the rough is smooth and all that shines is actually gold. Or so we think until it goes out to our editors, who inevitably find things we never even thought of, and the rewriting process starts again. By the time the book is in print, the best bits have become even better, the bad bits are hopefully completely gone, and we generally have no idea who wrote what. Which must sound strange, but is utterly true. We’ve often complimented each other on a good line, only to have the compliment returned. The Bit I’ve chosen reflects this aspect of the collaborative process, except in this case I’ve done the research and determined exactly who wrote what. The background is this: our twins, Jack and Jaide, have been sent to live in a small town called Portland (no, not that Portland) to be educated by a rather odd grandmother into their family’s magical legacy. They have Gifts that are hard to control, and until the twins can control them completely they’ll be a menace to everyone around them. So the adults in their world have a real motivation to keep secrets from Jack and Jaide, something that constantly irks them, and against which they constantly rail. I was having fun with the idea of “secret secrets”, like the notorious “unknown unknowns” of the real world. Of course there would be such things, and of course it’s part of every teenager’s growing maturity–or at least their ongoing war with the world–that they should come to understand that they can’t even know how many things they can’t know. “Secret squared secrets,” said Jack, as they turned right onto Main Street. “Secrets to the power of secret,” said Jaide, straight back. “Secret times infinity,” said Jack. The honest absurdity of the twin’s dialogue made me laugh, and without wanting to over-analyse this tiny moment, I hold it up as a perfect example of what collaborating is all about. Each of us makes the other look better, times infinity. Sean Williams is the author of over thirty-five novels, eighty short stories and the odd odd poem. 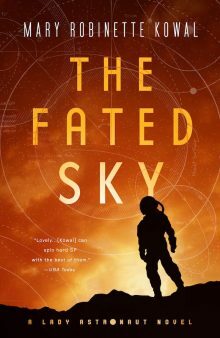 He writes across the field of science fiction and fantasy for adults, young adults and children, and enjoys the occasional franchise, too, such as Star Wars and Doctor Who. His work has won awards, debuted at #1 on the New York Times hardback bestseller list, and been translated into numerous languages. His latest series is Troubletwisters, co-written with Garth Nix. I like the new feature, Mary. Authors love to talk about their work, and this does allow an outlet to channel their enthusiasm for their own stuff to others. And I’m a girl who loves process discussions so this is great fun for me to read. Fun to the powers of fun. I see what you’re doing here. You’re working the the Scalzi fellow to punch more holes in my wallet! And being devilishly successful at it, too. Wait, are you saying that you are objecting to hearing about good fiction? I really like Garth Nix a lot, but I’m not familiar w/ Sean Williams. I’ll have to check him out – probably starting w/ this series. [quote]”has written thirty-five novels”[/quote] – Good; it should take a long time to get through [url=”http://www.unshelved.com/2007-4-29″]stage four[/url]. Hooray! I *adored* the first Troubletwisters book. So excited to see this!